Ohio Railroads And Railfanning In "The Buckeye State"
Ohio is a paradise if you are a railfan, as rail lines run every which direction featuring Class I main lines, regionals and even local short lines. In comparison to the state's size, Ohio is loaded with action! What's more, the Buckeye State was also the home to the famous Lima Locomotive Works (based in Lima) that built durable, high quality steam locomotives through the early 1940s. 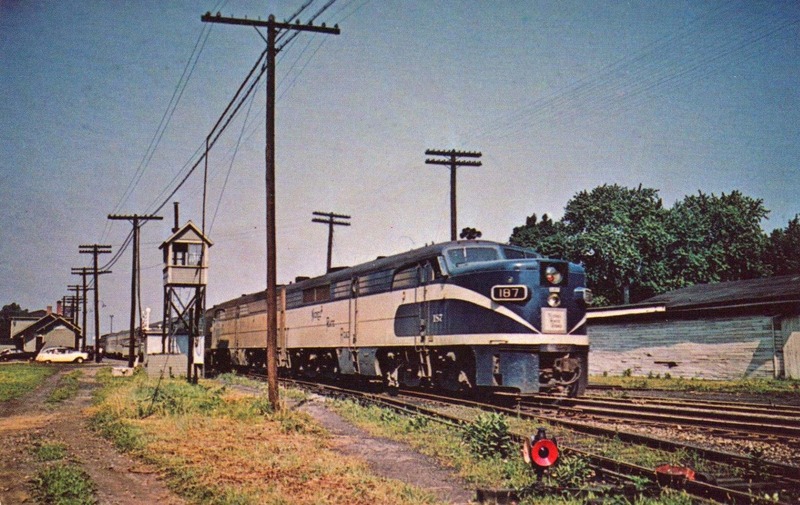 Other notable Ohio railroad tidbits include historic Cincinnati Union Terminal that is still served by Amtrak and the Winton Engine Company, based in Cleveland, which became part of diesel-builder Electro-Motive Corporation (EMC), a later division of General Motors. 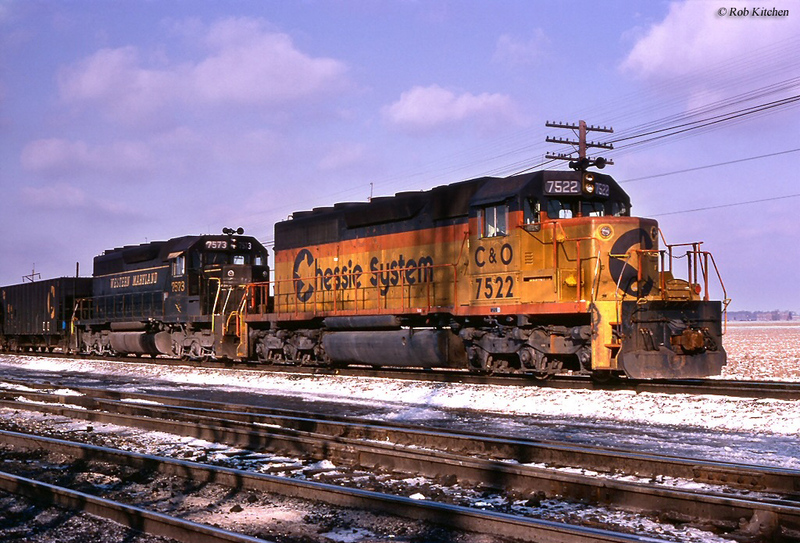 Aside from Ohio's significant railroading operations today the state is very rich in history as well, as every major eastern trunk line operated through the state along with several other more regional systems. Please be aware that to more thoroughly cover the state's history and present day operations with trains other pages of the website here are highlighted, which relate to Ohio. Ohio railroads officially date back to 1836 when the Erie & Kalamazoo Railroad completed its main line between Adrian, Michigan and Toledo, Ohio. The E&K later became part of the much larger Lake Shore & Michigan Southern Railway, which itself became a subsidiary of the New York Central System in 1914. The first railroad to operate solely in Ohio, however, was the Mad River & Lake Erie Railroad, which began construction in 1835 to connect Sandusky with Springfield and which was eventually completed by 1847. Interestingly, the MR&LE used a wide gauge of 4 feet, 10 inches instead of the more standard 4 feet 8 1/2 inches (remember, too, that during the time of its construction there was no uniform gauge in the country). The railroad would become part of the Cleveland, Cincinnati, Chicago, & St. Louis (the "Big Four") in 1892, another predecessor of the NYC. Following the MR&LE's opening, Ohio quickly became vitally important with coal mines located in the state's eastern regions; port cities to the north like Cleveland (and the aforementioned Sandusky); important cities like Cincinnati, Toledo and Akron; and a key component of main lines stretching to western markets like Detroit, Chicago, Indianapolis and St. Louis. 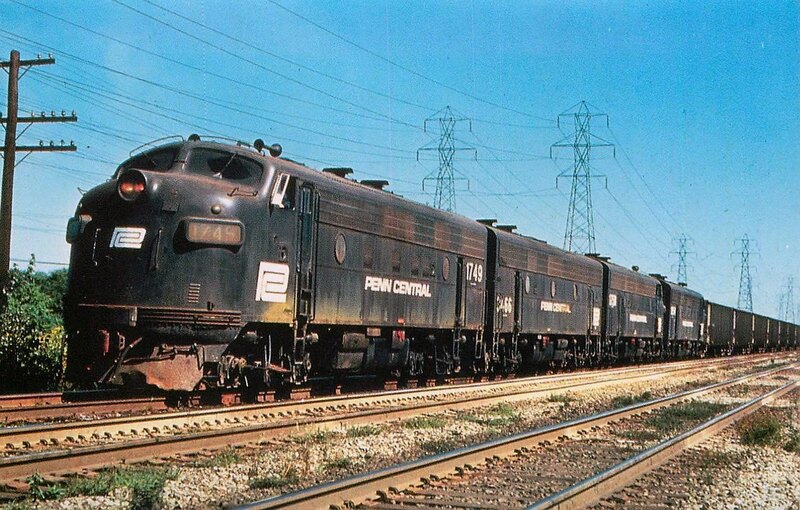 Virtually every large eastern Class I carrier of its day reached Ohio to some extent and included the four trunk lines of the Baltimore & Ohio, Pennsylvania Railroad, New York Central, Erie Railroad as well as several others. One of the state's most venerable railroads was the Baltimore & Ohio. Today, the B&O's lines in Ohio are drastically different under CSX's management. 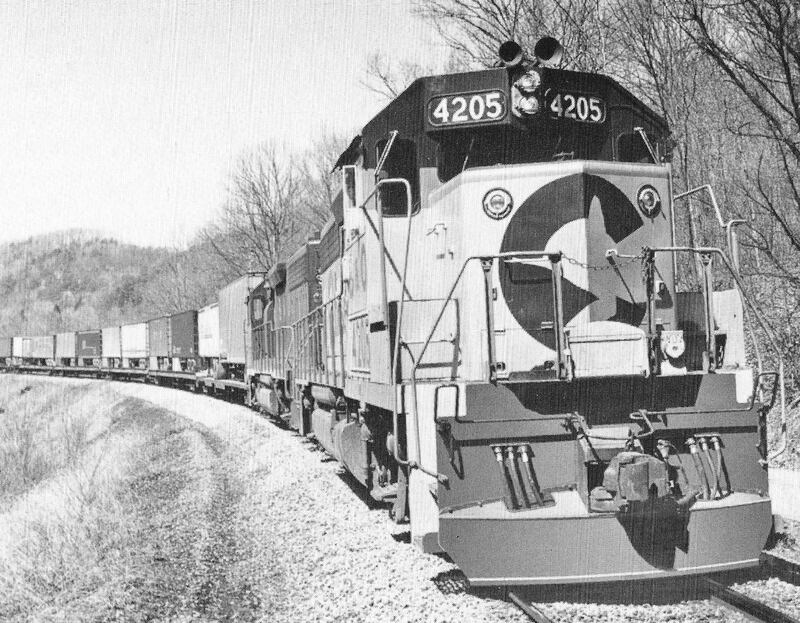 While its main line to Chicago remains intact and was recently upgraded to double-track standards, its St. Louis main line did not fair so well as beginning in the late 1980s it was severed east of Greenfield to Belpre, Ohio along the Ohio River (it is also severed east of Parkersburg, WV to Clarksburg, WV), with much of the rest of the trackage west of Greenfield sold to Ohio shortline Indiana & Ohio. 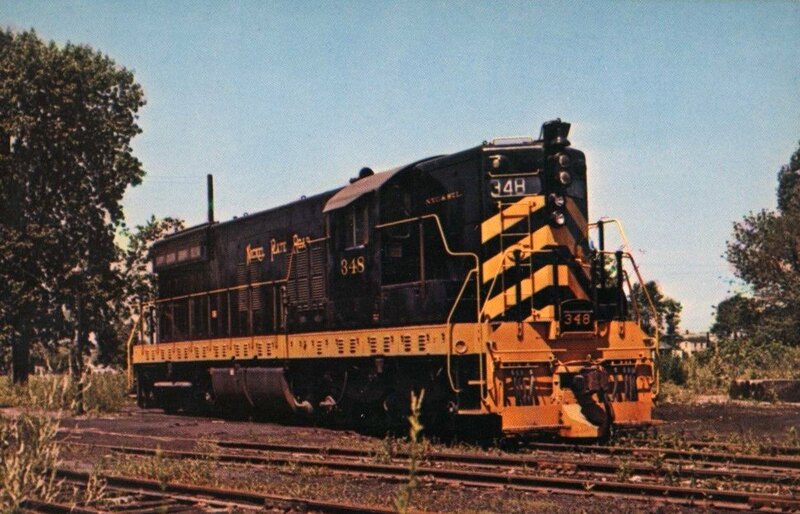 A large percentage of the B&O's branch lines have likewise been abandoned or ripped up in the Buckeye State. Even though Ohio likewise no longer includes the former Erie main line as a through route, the Buckeye State is still home to both the ex-PRR and ex-NYC main lines to St. Louis and Chicago that see heavy amounts of traffic on a daily basis. For instance, some locations in Ohio where activity is the busiest includes legendary Fostoria (a railfan's dream, it sees dozens of CSX and NS trains daily and is still protected by F Tower where both railroads cross), Queensgate Yard in Cincinnati, Willard, Columbus and Berea, where you can dine in the city's restored Union Station and watch CSX and NS freight trains pass within waving distance from one another. These places are just a few interesting railroading locations in Ohio as there are far too many to highlight here. Aside from CSX and NS, Ohio also features numerous shortlines and regionals. These include the Ohio Central System (the parent company of numerous shortlines in Ohio), RJ Corman, Indiana & Ohio, and the Wheeling & Lake Erie just to name a few. 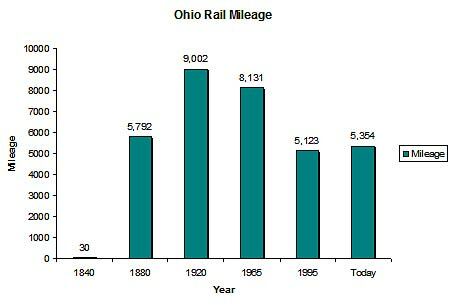 Today, Ohio continues to operate over 5,300 miles of the state's original infrastructure that at one time topped more than 9,000 miles in the 1920s during the industry's height. Overall, Ohio has lost about 41% of its peak rail network, which isn't bad considering the average per state is between 45% and 50%. For more information about the state, in terms of route mileage over the years please refer to the chart below. Famous passenger trains like the National Limited, Capitol Limited, 20th Century Limited, and Broadway Limited may no longer pass through Ohio. However, Amtrak still operates a number of trains through the state including the tri-weekly Cardinal which serves Cincinnati and the Lake Shore Limited and Capitol Limited, which serves state's northern areas like Cleveland and Toledo. Passenger and freight trains aside, Ohio railroads also feature plenty of museums and excursion trains. For instance, there is the Ohio Central's famous steam fleet that includes recently acquired Nickel Plate #763 (which is ultimately slated for a full restoration) and the Warther Carving Museum that features the expertly, one-of-a-kind handcrafted locomotives by the late Ernest Warther. These are just a few of the interesting attractions located in Ohio. Others include the AC&J Scenic Line Railway, Buckeye Central Scenic Railroad, Cedar Point & Lake Erie Railroad, Cincinnati Railroad Club, Cuyahoga Valley Scenic Railroad, Dennison Railroad Depot Museum, Hocking Valley Scenic Railway, Jefferson Depot, Lorain & West Virginia Railway, Mad River & NKP Railroad Museum, Marion Union Station Association, Minerva Scenic Railway, Northwest Ohio Railroad Preservation, Ohio Railway Museum, Orrville Railroad Heritage Society, Toledo, Lake Erie & Western Railway & Museum, Train-O-Rama and the Turtle Creek Valley Railway. All in all Ohio offers the railfan just about anything he or she wants! Whether you are after main line railroading, steam action or simply strolling abandoned rights-of-way of once-important lines; the Buckeye State offers it all.